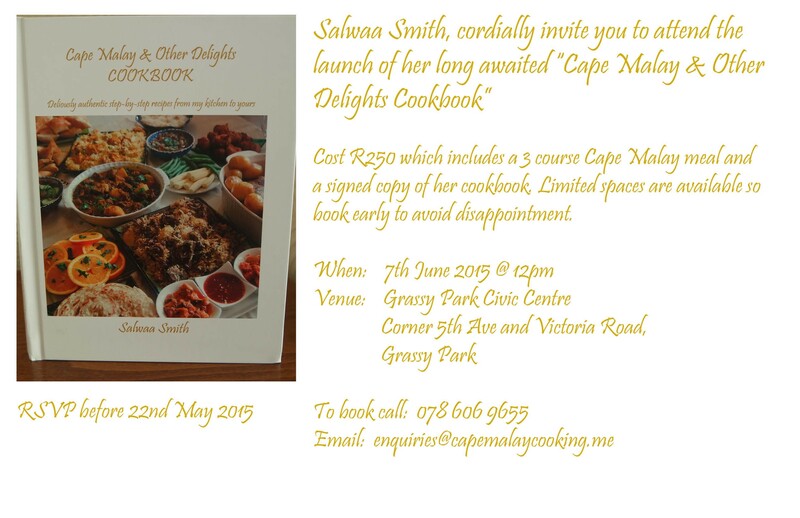 Cost of my cookbook ONLY – R199 + R10 P&P within Cape Town and R25 nationwide. We will also be selling books only at the introductory price of R199 on the day of the launch at Grassy Park Civic Centre for those unable to attend the lunch. Books will only be available from myself and will be available in stores towards the end of July 2015. Contact details above. 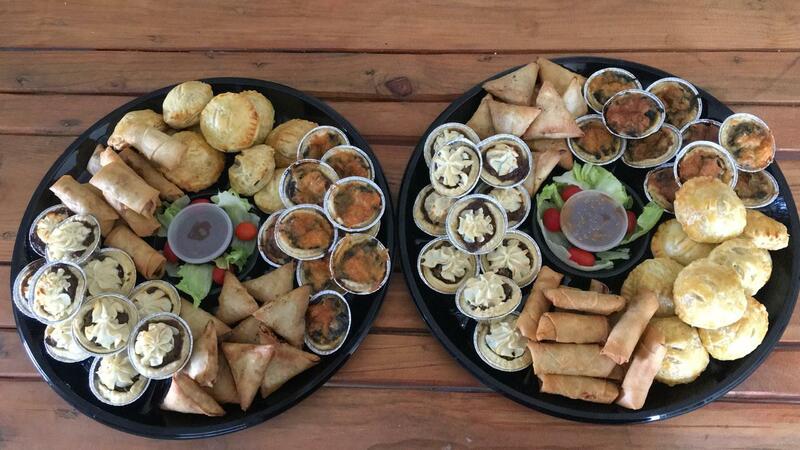 Those outside of South Africa who wants to purchase a copy of my book may do so via amazon.co.uk, worldwide delivery. 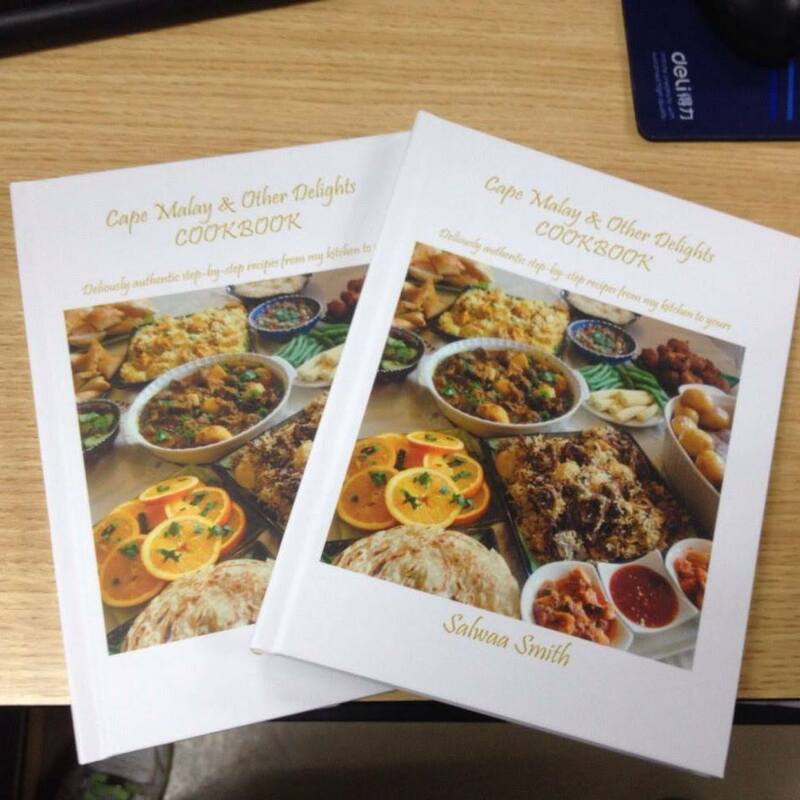 Just search for Cape Malay Cookbook or ISBN 0620526505. Thank you, I’m looking forward to meeting you all. God Bless.